Africason | African School | Africa son | History | Black Consciousness | Education: Ancient Africans Marooned in North Sentinel Island For Over 60,000 Years!. 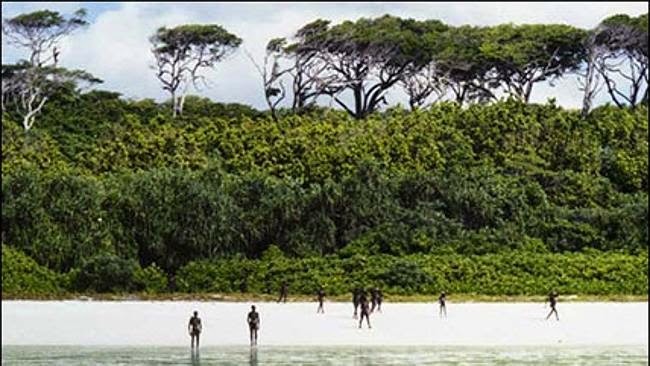 Ancient Africans Marooned in North Sentinel Island For Over 60,000 Years!. DON’T expect to be greeted with a smile if you attempt to visit this island – you’ll be lucky to make it out alive as spears and arrows fly towards you. North Sentinel Island, part of the Andaman and Nicobar Islands which is a group of 572 islands in the Bay of Bengal between Myanmar and Indonesia, could be the hardest (and perhaps least desirable) place in the world to visit. The locals who live here just don’t like visitors … and never have. The inhabitants are a tribe of Sentinels said to be direct descendants from the first humans to emerge from Africa. It’s estimated that they have lived in the Andaman Islands for up to 60,000 years, but the fact that their language is so different even from other Andaman Islanders suggests that they’ve had very little contact with the outside world for thousands of years. 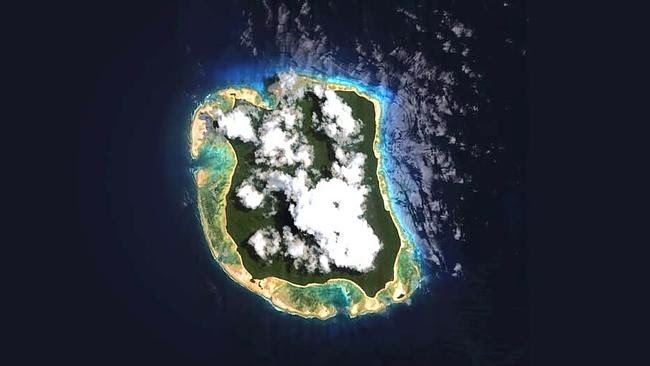 Today it’s estimated that there are between 50-250 residents that call North Sentinel Island home. The Sentinelese don’t like anyone entering their land: Regardless of whether you come bearing gifts, as a fisherman, as a journalist, accidentally get shipwrecked on the island, or come wanting to help, you’ll be met with hostility. No-one has ever left the island without running for it … or being killed. In the days following the shocking 2004 tsunami (that hit the Indian Ocean), a group of people on an Indian Navy helicopter reached out. They didn’t have much hope to find survivors – it seemed implausible that the Sentinelese could have survived, living on such a remote island directly in the tsunami’s path. Optimistic and wanting to help they dropped food parcels onto the land, and were met with a sole Sentinelese warrior, who emerged from the dense jungle with a bow and arrow and shot at the helicopter. Even after such a drastic, horrific event, the Sentinelese did not want help … they did not wish to have any further human contact. Thanks to technology, today anyone with access to the internet and a computer can check out never-before-seen places from above using Google Earth. When you look at North Sentinal Island you can only see an old shipwreck still stuck on the reef. Anything to do with the Sentinelese – homes, lives, people – is hidden in the dense jungle. Those who have visited have either come back terrified, or not at all. In 1880 a large British group landed on the island, but it took them days to make contact with the natives. After several days they found an elderly couple with four small children, and took the group to Port Blair. The elderly couple were not able to survive and died, perhaps after being exposed to Western diseases, after which the children were returned to the island with presents … quickly. Indian authorities have been attempting to make peaceful contact since 1967, but have always been met with bows and arrows, and in 1974 a film director even took an arrow in his thigh. In the 1980s government-sponsored groups left gifts on the island, but quickly left. Unintentional visitors too, have never been welcomed, whatever the circumstances. An escaped convict who drifted to the island on a raft in 1896 was killed there. His retrieved body was punctured by arrows and his throat cut. A Hong Kong freighter, called Primrose, became stuck on the island in 1981. After a few days armed natives descended on their ship. The captain made a distress call and the crew were flown to safety. The last recorded contact with the Sentinelese was in 2006. Two fishermen were killed fishing illegally within the range of the island. Today the Indian government has backed away, altering its policy to no longer attempt visits, friendly or otherwise. It’s now recognised that the Sentinelese have the right to live as they wish – which in this case is obviously away from the rest of the world.